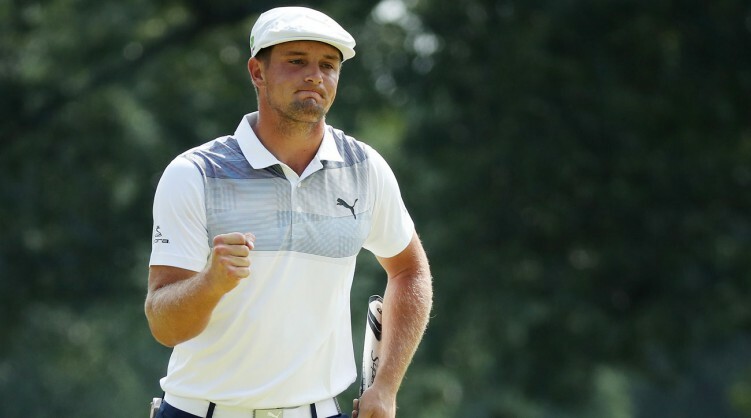 The “Mad Scientist”, the name permanently affixed with Bryson DeChambeau – now has five wins on the PGA TOUR. Just yesterday he ousted Patrick Cantlay by a shot to take home $1,260,000 for the win at Shriners Hospitals for Children, Las Vegas, USA. While the win came as the number five for the 25-year-old American, it also was his fourth in 2018 after winning at the Dell Technologies Championship, Northern Trust and the Memorial Tournament. His first win came at the 2017 John Deere Classic where he won with a stroke over Patrick Rodgers. All in all, these have been a solid two years career for the man, climbing up to the World No.5 on the ladder all the way down from 661 in the starting of 2016. DeChambeau has been criticized for his use of mathematical instruments for green reading and understanding flag location and PGA TOUR even banned him from using a compass, a mere compass, which they think has been helping to win. Well, the man has responded with three wins on the TOUR since the ban has been put on him in June. DeChambeau won the Northern Trust on 26 August, Dell Technologies Championship on 23 September and added the latest win in Las Vegas just yesterday, November 4, 2018, at the Shriners Hospitals for Children. “I went a little too hard on the air horn and I ripped part my hand off,” DeChambeau confirmed after playing the final round taped up. “I was freaking out. I actually put Nu-Skin on it this morning and it dried up and dried my hands too quickly. Then I opened my hand and it cracked and split. His final round of 5-under 66 was enough to beat defending champion Patrick Cantlay by a shot and notch up his fifth career win. The way his single length irons are performing for him and the way he practices, they are enough of the proofs to show the world that they work.